WASHINGTON, D.C. (HawaiiNewsNow) - U.S. Rep. Tulsi Gabbard, D-Hawaii, is slamming President Donald Trump for his position on Saudi Arabia — and getting some attention for her choice of words along the way. In a scathing tweet, she used profanity to criticize the president in response to his statement — subtitled “America First!” — that signaled he wouldn’t take action against Saudi Arabia or Crown Prince Mohammed bin Salman. That’s despite the CIA’s conclusion that the country’s crown prince ordered the murder of Washington Post journalist Jamal Khashoggi. He also said the U.S. needs Saudi Arabia to keep oil prices low and to fight terrorism. Gabbard, D-Hawaii, has been a tough critic of Saudi Arabia, and has called on Congress to stop supporting the country’s war in Yemen. She has also said Saudi Arabia is not and should not be a U.S. ally. Gabbard’s office confirmed with Hawaii News Now that she did send out the tweet and that her account was not hacked. The tweet quickly generated headlines nationally, and has gotten thousands of shares. 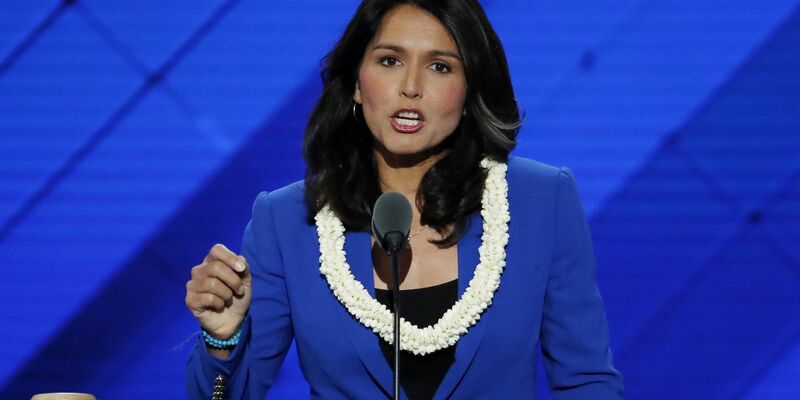 Some vocally supported the message — and Gabbard’s choice of words — while others questioned the representative’s motivations and own foreign policy decisions. The other members of Hawaii’s congressional delegation have also come out against the president’s position on Saudi Arabia and his handling of the Khashoggi murder.